Merging bailed-out Monte dei Paschi with local peers UBI or BPM could boost combined net profit by up to 50 pct. Suitors fear state meddling, a multibillion-euro cash call and legal risks. But scaling up is the only way to address chronic underperformance in a stagnant economy. A woman walks in front of the Monte dei Paschi bank in Siena, central Italy, January 29, 2016. 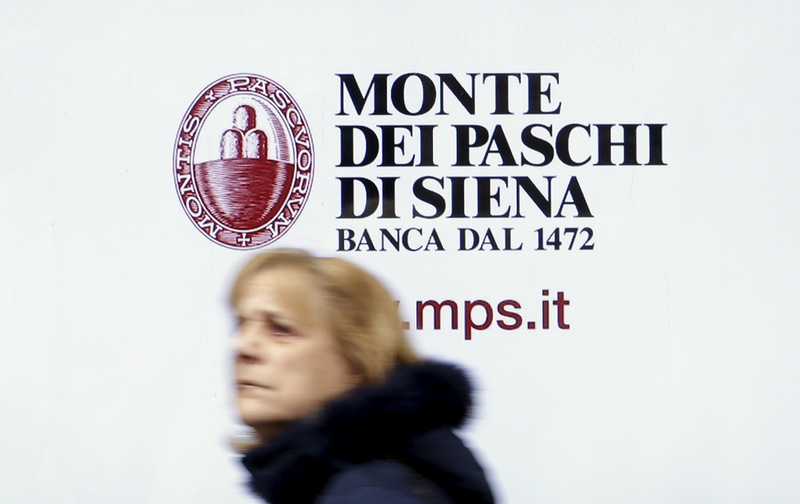 Banca Monte dei Paschi di Siena (MPS) Chief Executive Marco Morelli told a shareholder meeting on April 11 the board was considering possible tie-ups. Asked on April 12 about a possible merger with either MPS or peer Banco BPM, UBI Banca Chief Executive Victor Massiah said his bank was open to studying any type of proposal provided it created value and resulted in effective governance. Banco BPM Chief Executive Giuseppe Castagna on April 6 appeared to play down an interest in Tuscany-based MPS by saying his bank was more interested in banks close to its northern Italian home turf. MPS had 15.8 billion euros of gross non-performing loans on its balance sheet at the end of 2018, equivalent to 16 percent of gross customer loans. The bank also faces legal claims worth 1.5 billion euros, mostly from shareholders and former shareholders, connected to allegedly improper financial disclosure between 2008 and 2015. MPS shares, which have lost nearly 50 percent of their value over the last 12 months, were up 4 percent at 1.40 euros by 0800 GMT on April 15.